Introduce sign language to your students in a fun and exciting way. With all 26 letters of the alphabet and numbers 1-10, Hands That Teach can be a great teaching tool. The simple and bold images are easy to understand and follow for any grade. 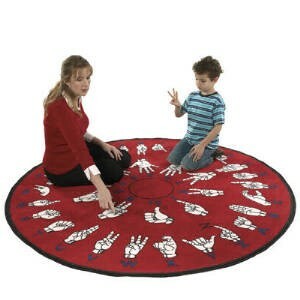 Because Hands That Teach is a round rug, it allows students to interact.